After years of controversy and failed attempts, the Iowa Tribe of Oklahoma has launched a new online poker site which it claims will be completely free of rake. The rake is a percentage of every pot which is collected by the poker operator, but the tribe is hoping its new, unique model will set it apart from the rest of the pack. “We hope to shake up the online poker scene by changing the playing experience for the better,” managing director George McIntosh said to EGR Global. 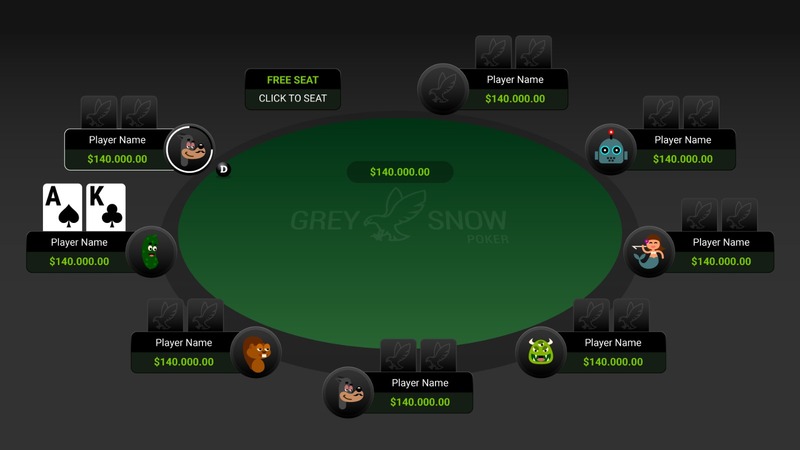 The site, which launched this week after months of beta testing, is called Grey Snow Poker. It’s licensed in the Isle of Man, and at least at this point, it won’t be open to US-based players, instead targeting “grey” markets like Canada, Germany, and Russia. Collecting rake has been the norm for pretty much every poker site in existence, but Grey Snow is trying something different. Instead of a rake based on the size of each pot, the site will collect a flat service fee called FairPlay, which is equal to three percent of a player’s buy-in when they sit at a table. McIntosh, who is a former executive with PokerStars’ parent company Amaya, points out that two players could play heads up for hours without their stacks being whittled away by the rake. 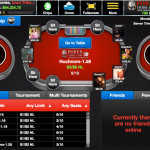 The goal is to make online poker more attractive for casual players. “We think that this, coupled with random seating, will make the playing environment more fun, more thrilling and a more level playing-field than other sites,” he said. It’s not the first time that the Iowa Tribe, which owns two casinos in the state, has tried to get into the online poker game. It had previously partnered with Iowa’s Cheyenne and Arapaho tribes, who invested more than $9.4 million with the Universal Entertainment Group (UEG) to launch PokerTribe.com. 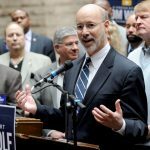 But the venture was beset by years of delays and lawsuits. The deal fell through after it became apparent that the the tribes were not going to be able to offer real-monkey poker to an international market, as promised by UEG. The tribes then sued UEG founder Fereidoun “Fred” Khalilian, who is notorious for a long rap sheet which includes a $4.2 million dollar fine from the Federal Trade Commission for telemarketing fraud. Khalilian claimed that the tribes just wanted out of the deal, and the lawsuit was eventually dismissed in his favor. White PokerTribe.com was eventually able to provide play-money games, the real-money offerings never came to fruition, and the site was eventually shut down. Armed with a new brand, and a unique business model, the Iowa tribe is hoping Grey Snow Poker will finally gain it a foothold in the international poker market. WOW! That sounds good. Interesting if will be available for Europe too..
Great news, we can only wish success to such undertakings. This idea attracts me much more than the latest innovations of poker games such as Fusion, Power Up, No fold, Spin&Go max. And the main robbery against the hold’em rake from a shortened deck. Therefore, the game without rake is very attractive! Great start for the poker room! The no rake model is interesting, but I don’t like that you can’t pick where you sit at the table. Most poker players play recreationally, but I don’t ever hear people complaining about a pro sitting down next to them and making their experience miserable. I guess they are just trying to sell the recreational player hard, will be interesting to see how their site fairs against all the other competition. Just let us play poker….Why is this such a hard thing to do? Will it be available in Europe? If yes when? It sounds like a good concept, I do usually like to watch a table before I sit down to play, so I think that may be a bit of a downer. But when I am feeling like a cash game, I might try it. I am assuming they are doing tourneys, but that is not clear from the article. For people that only play tourneys, I guess there would not be any difference. The question is whether you can deposit and cash out, which is in question here. But maybe this will bring the model to other sites. This might be one to watch and see if it works out for them. Hit & run players will not like this. Forces them to stick around. IMHO that alone makes it positive. I applied my poker play to SnG’s because of the rash of short stacked hit & run players in cash games. I’d be curious to see if this actually is more appealing to the ‘casual poker players’ this model is aiming to attract. In my opinion, the players who care most about the ‘rake’ are the ones who I’d consider to be the ‘less casual’ players. Having fees to play in a game? One large chunk on the front end will likely prove more of a barrier to entry than small slices of the pie (rake) over a handful of hours (albeit likely larger than the large chunk on the front end) .